EASY USE: SMB can be filled through oral inflation or BCD Hose. The air enters the tube through this valve at bottom. 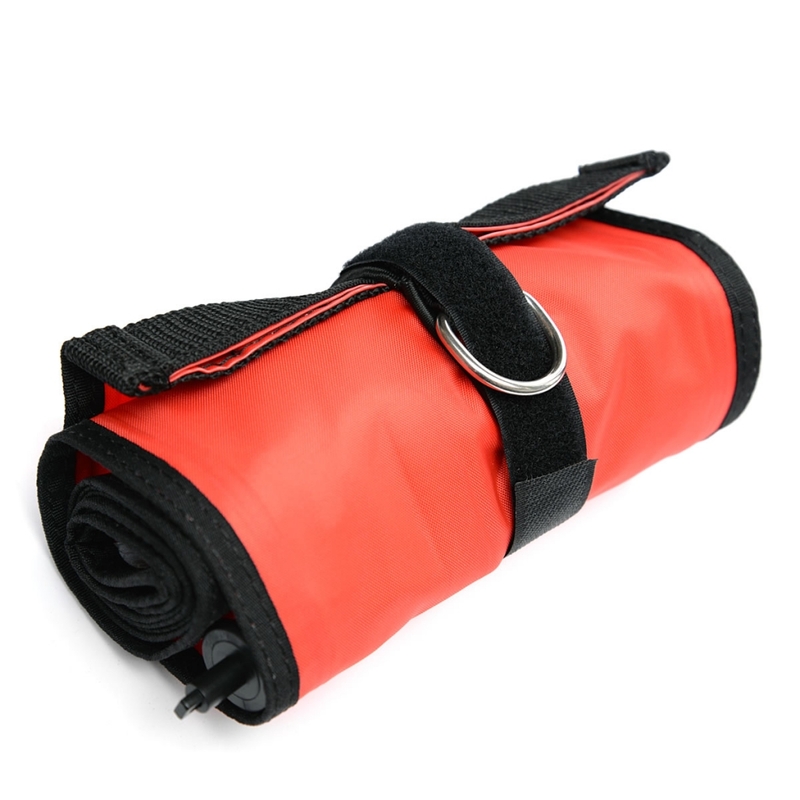 RUPTURE RESISTANT: An integrated dump valve is included: Made from a 420 denier Nylon Fabric with a TPU coating for added strength in all water conditions to ascend without rupturing.